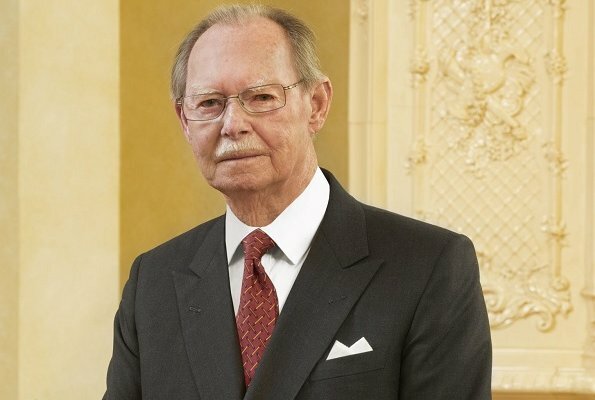 Grand Duke Jean of Luxembourg has passed away aged 98. Grand Duke Henri of Luxembourg announced the death of his father in a statement on Tuesday. He had recently been admitted to hospital suffering from a pulmonary infection, and passed away surrounded by his family, the statement said. On Monday, Kensington Palace officials have released three new official photographs of Prince Louis in honor of his first birthday. 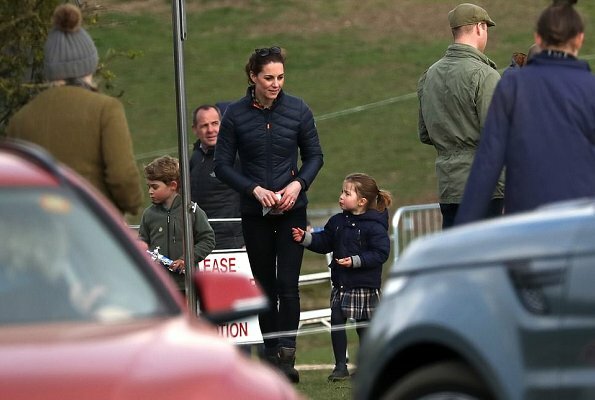 The photographs were taken earlier this month by The Duchess of Cambridge at their home in Norfolk. Prince Louis Arthur Charles was born on St George's Day last year, April 23, at St Mary's Hospital in Paddington. 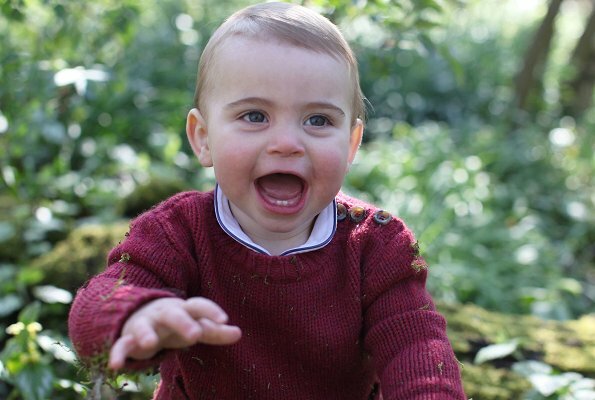 Prince Louis is the third child and second son of the Duke and Duchess of Cambridge. He is fifth in the line of succession to the British throne. 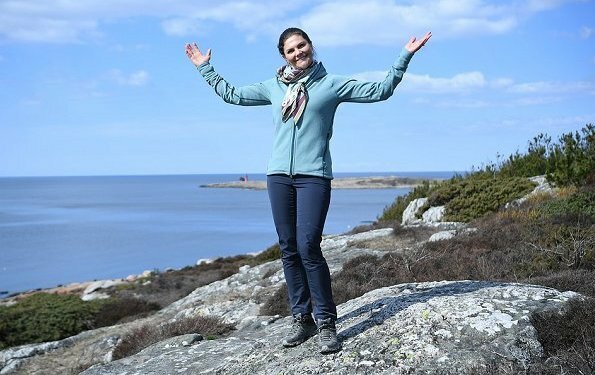 Swedish Crown Princess family was in Öland at the weekend to celebrate the Easter. 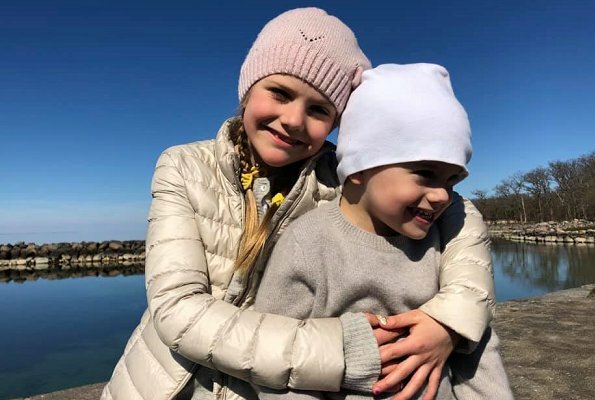 On the occasion of the Easter, Crown Princess Victoria took photos of Princess Estelle and Prince Oscar during the Easter weekend walk, and shared on the official Instagram account of the Royal Family, and wished everyone a happy Easter. 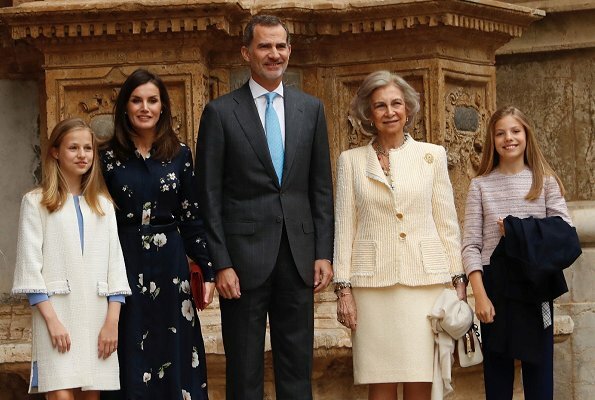 On April 21, 2019, King Felipe VI, Queen Letizia, Crown Princess Leonor, Infanta Sofia and Queen Sofia of Spain attended the Easter Mass at Cathedral of Palma de Mallorca in Palma, Spain. 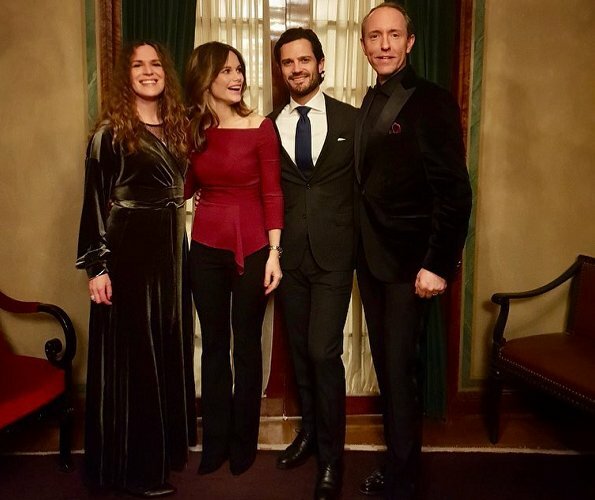 Queen Letizia wore a new floral print dress by Massimo Dutti. 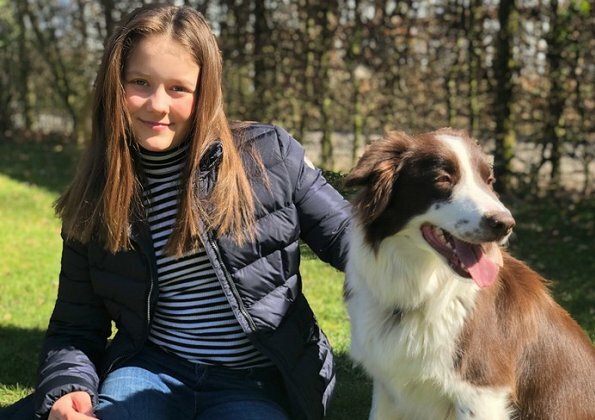 The second child and elder daughter of Danish Crown Prince Frederik and Crown Princess Mary, Princess Isabella, celebrates her 12th birthday today. Princess Isabella of Denmark, Countess of Monpezat was born on April 21, 2007 at Copenhagen University Hospital. 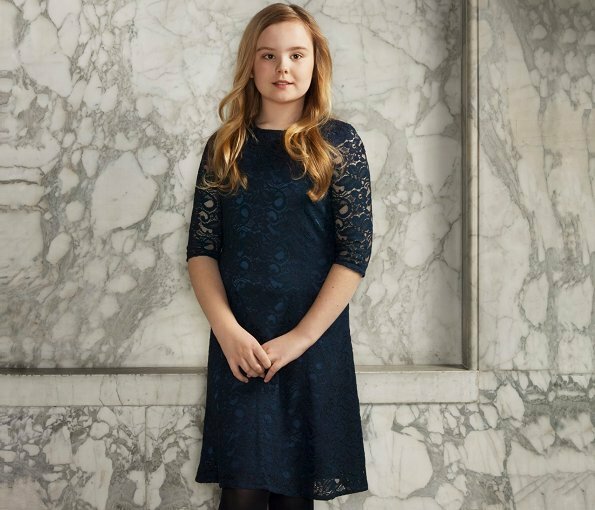 On the occasion of that birthday, Danish Royal Court released Princess Isabella's new photos. 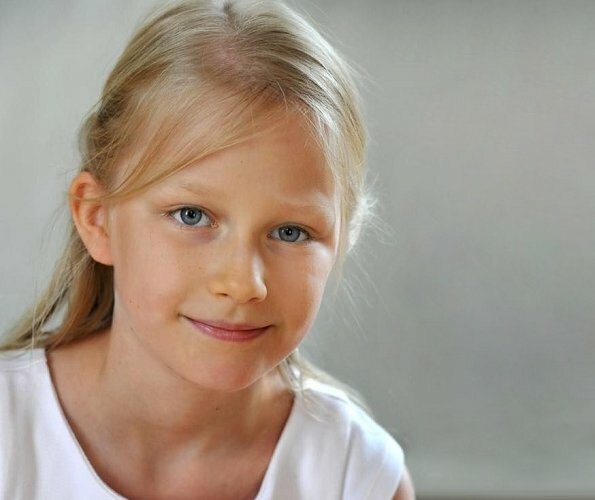 Happy birthday to you, Danish Princess Isabella. 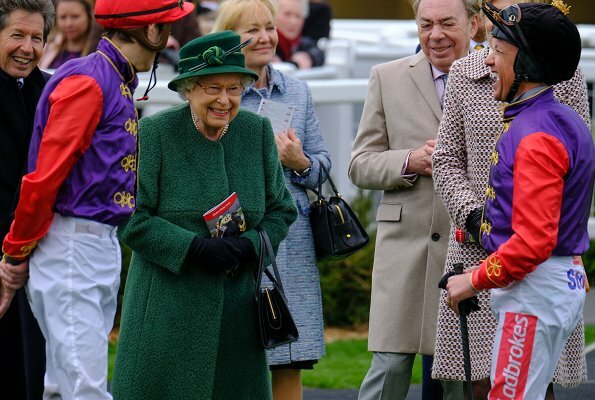 Britain's Queen Elizabeth II celebrates her 93rd birthday today. On the occasion of that birthday, Buckingham Palace shared a slide of the Queen. 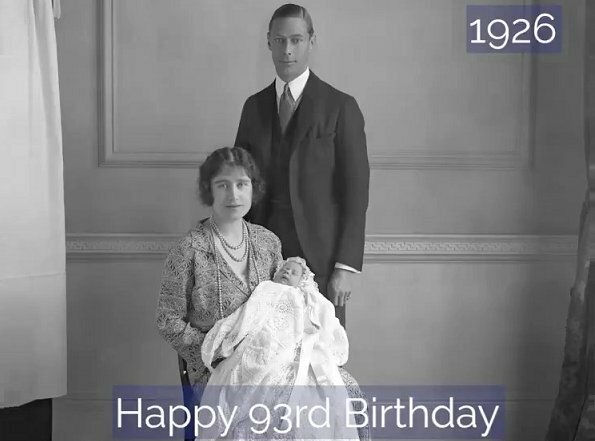 The video including the slide has photos from different times of The Queen’s life, from an image of her as a baby in 1926, to her visit to King’s College last month. Happy 93rd birthday to you, The Queen! 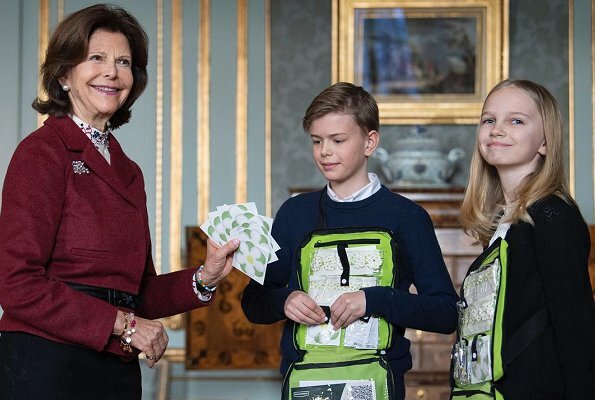 A new photo of Hereditary Grand Duke Guillaume and Hereditary Grand Duchess Stephanie of Luxembourg was released on the website of Grand Duchess Maria Teresa. 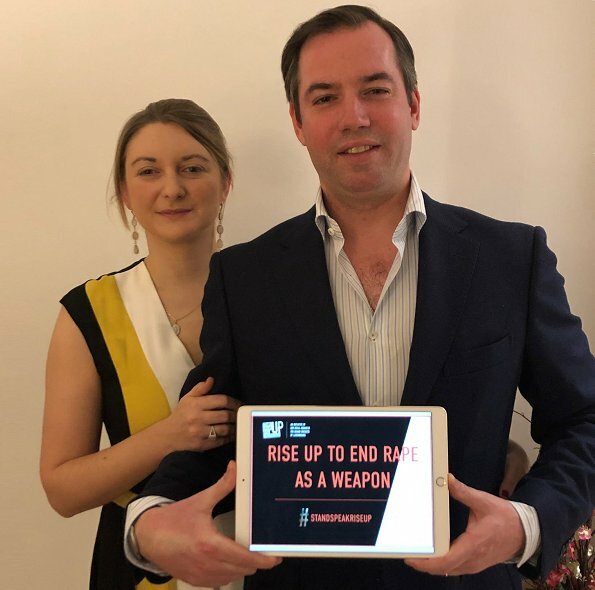 In the photo, the Hereditary Grand Couple supports Stand Speak Rise Up! 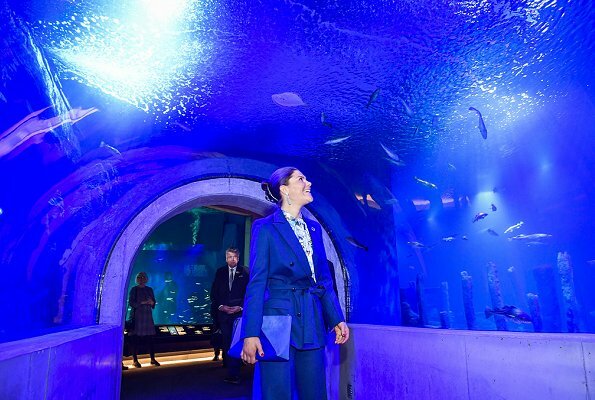 which is an initiative of Grand Duchess Maria Teresa. 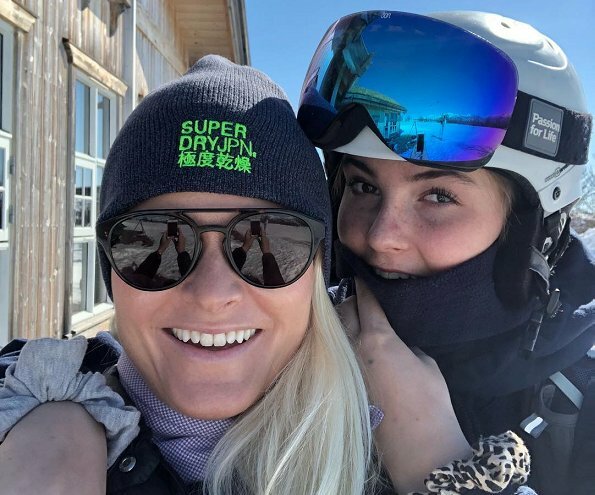 The couple is currently in London for receiving education. 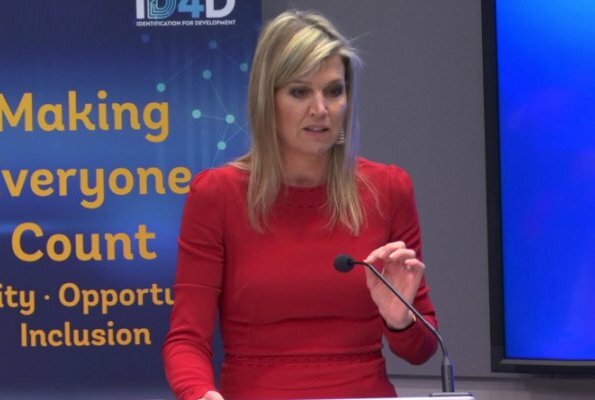 On the website, there is also a photo of Princess Sibila of Luxembourg, which supports the initiative. 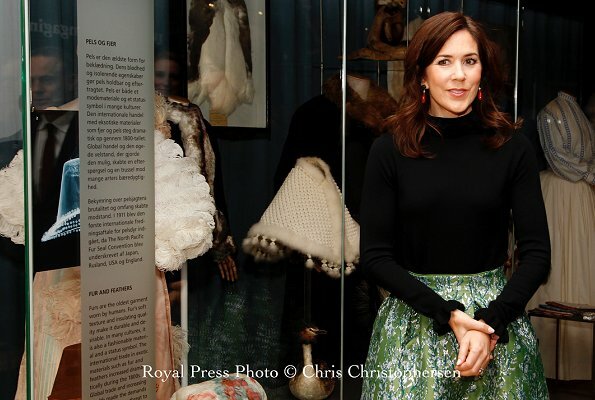 Princess Caroline of Hanover visited Ettore Spalletti's exhibition which is displayed at the New National Museum until November 3, 2019. Ettore Spalletti was born in Cappelle sul Tavo in the province of Pescara, Italy, in 1940. Spalletti's works are inspired by the landscapes of his native region, which is located between the Adriatic Sea and the mountains of Abruzzo. His works involve a limited chromatic palette of pastel tones - white, grey, pink and azure blue – with the addition of gold. 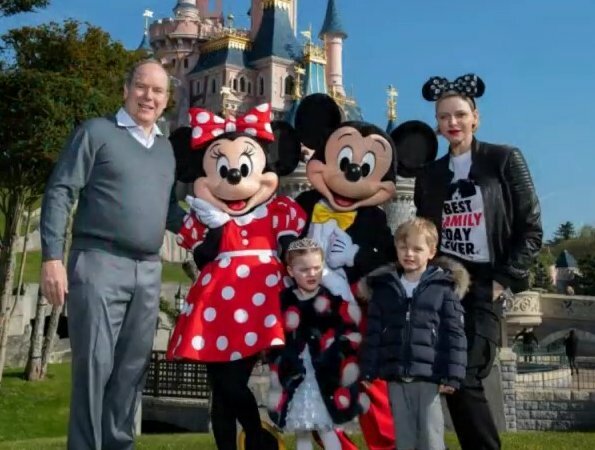 On the occasion of Easter, on April 20, 2019, Prince Albert II of Monaco, Princess Charlene and their children, Crown Prince Jacques and Princess Gabriella visited Paris Disneyland (Euro Disney Resort). 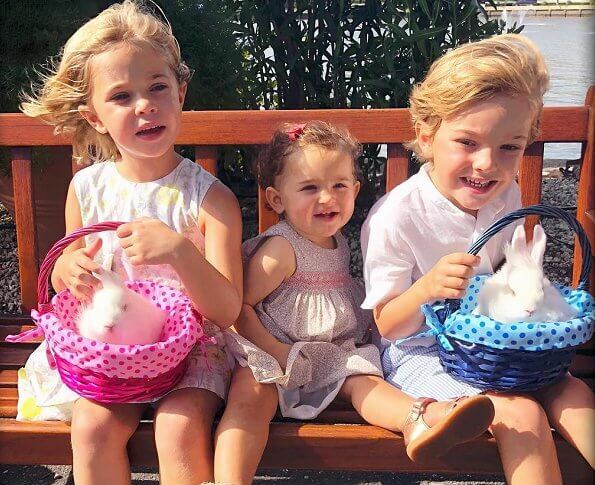 This visit is first discovery of Disneyland for Prince Jacques and Princess Gabriella. 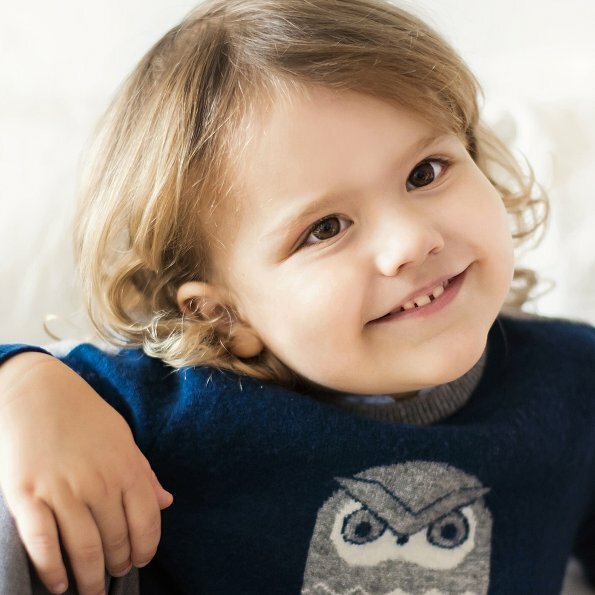 The oldest child of Prince Carl Philip and Princess Sofia, Prince Alexander turns three-years-old today and on the occassion of that birthday, Swedish royal court published a new photo of Prince Alexander. Alexander Erik Hubertus Bertil was born on 19 April 2016 at Danderyd Hospital in Danderyd. 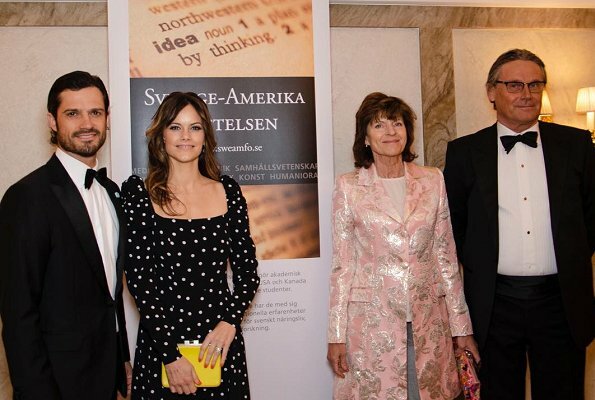 His full title is His Royal Highness Prince Alexander of Sweden, Duke of Södermanland. Happy birthday, Prince Alexander! As in previous years, also this year, Belgian Royal family takes a pilgrimage walk on the Way of St. James during the Holy Week. The route chosen by the Family this year crosses the provinces of Burgos and Palencia. 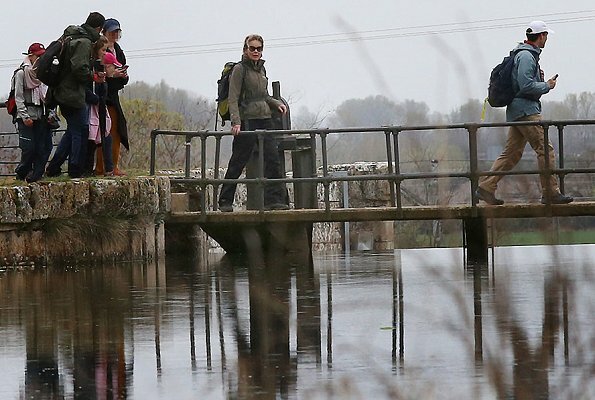 Belgian royal family, that is, King Philippe, Queen Mathilde, their children Crown Princess Elisabeth, Prince Gabriel, Prince Emmanuel and Princess Eleonore started their walk in Burgos a few days ago and their walk continues through the Palencia route. The Way of St. James (Spanish: El Camino de Santiago) is one of the most important Christian pilgrimages. The final destination of the Way of St. James is Santiago de Compostela. The pilgrimage route goes to the Cathedral of Santiago de Compostela in Galicia in northwestern Spain. 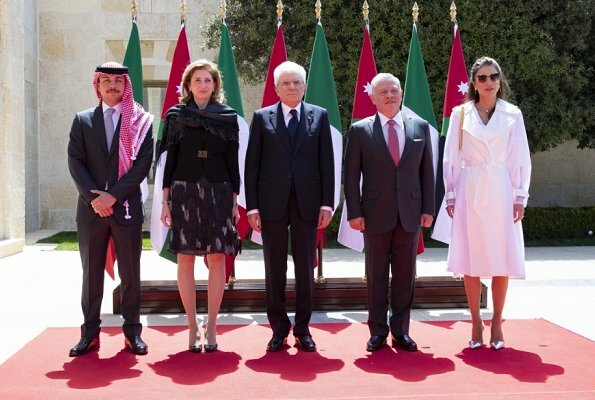 On April 17, 2019, Queen Rania of Jordan visited Tajalla Association based in Jabal al-Weibdeh neighbourhood in Amman and met with members of the association. Tajallla is a non profit, non governmental organization which gives balcony and open air concerts with its volunteer members. Jabal al-Weibdeh neighborhood is a bohemian and hipster area, and it is one of the oldest neighborhoods in Amman. On April 17, 2019, Emperor Akihito and Empress Michiko of Japan started a three-day pilgrimage to Ise Grand Shrine in Mie prefecture, the holiest site in Japan's Shinto religion. The visit to Ise Shrine, which is dedicated to a legendary ancestress of the imperial family, is part of a series of rituals for the Emperor's abdication. The imperial sword and jewel, two of the family's three sacred treasures that play a key role in the succession, are accompanying the emperor on the visit. The couple will worship at the Outer Shrine and the Inner Shrine on Thursday. 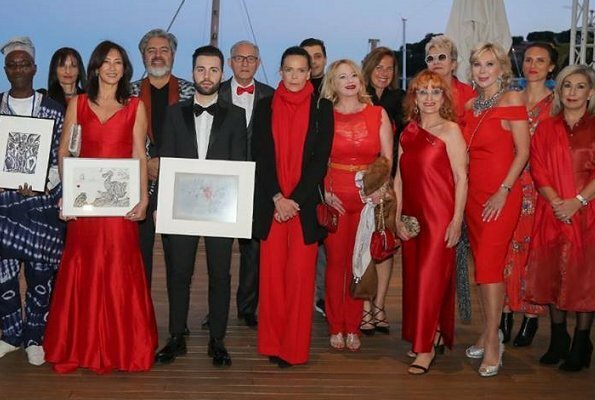 Princess Stephanie of Monaco attended the fundraising gala night held at Monaco Yacht Club in order to support "Campaign to fight against cardiovascular diseases" initiated by Femmes Leaders Mondiales Monaco (Women World Leaders Monaco) This year's theme is "Save Women’s hearts." 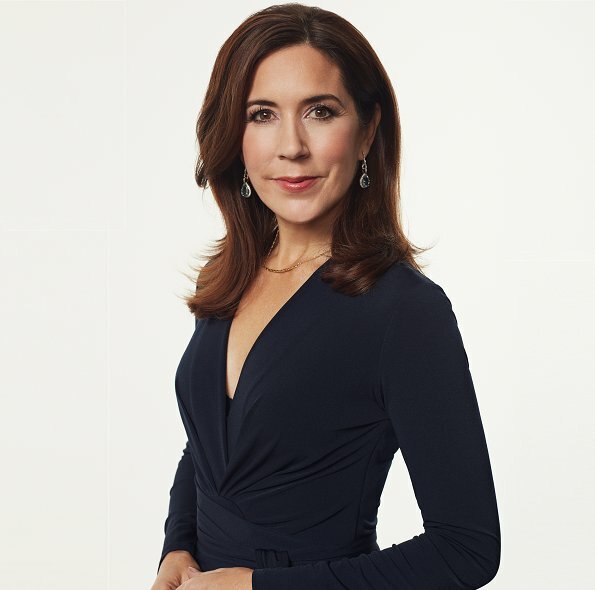 The association aims to reduce inequalities between men and women. The funds raised through the auction will benefit to finance cardiac interventions for underprivileged women who reside close to the Principality. 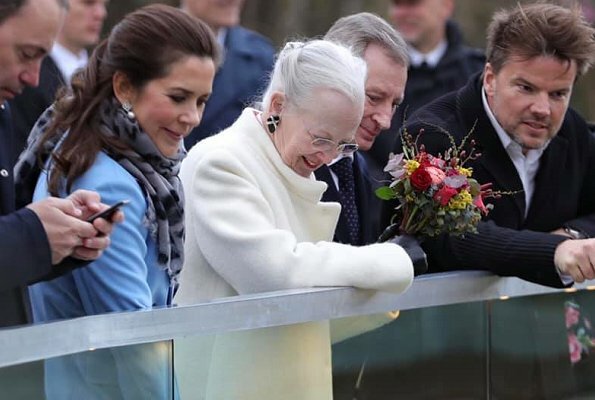 Queen Margerthe II of Denmark celebrates her 79th birthday today. The Queen's 79th birthday take place this year at Marselisborg Castle in Aarhus. 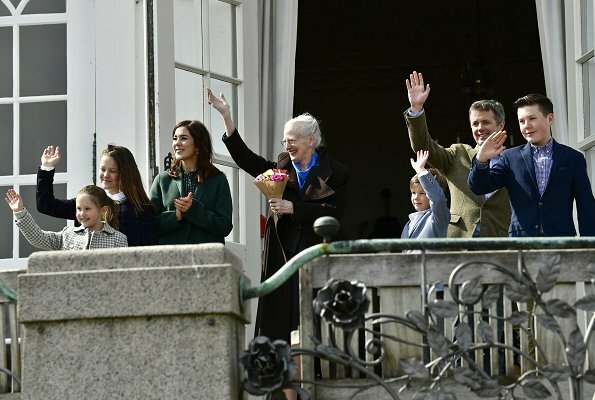 On April 16, 2019, Queen Margrethe of Denmark, Crown Prince Frederik, Crown Princess Mary, Prince Christian, Princess Isabella, Prince Vincent and Princess Josephine greeted people from the veranda of Marselisborg Castle in connection with 79th birthday of the Queen. 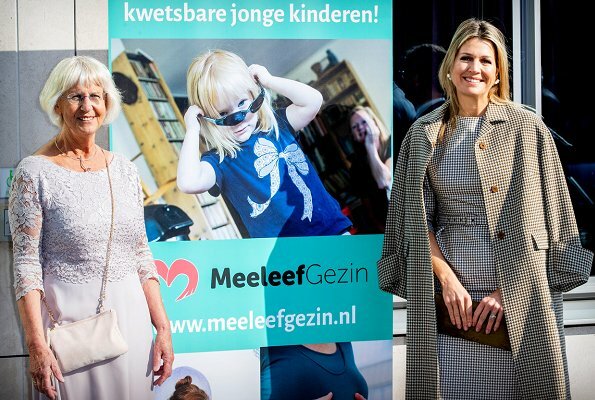 On April 13, 2019, Princess Beatrix visited the exhibition of the late artist Ad Dekkers, where all the models of his works are brought together, in the park of Bruns B.V. in Bergeijk, The Netherlands. 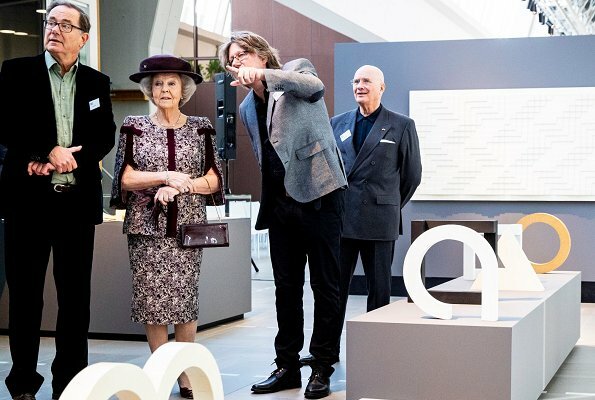 At the exhibition, Princess Beatrix unveiled a reconstruction of a tile relief created in 1971 by artist Ad Dekkers, having a size of nine by eighteen meters. Adriaan "Ad" Dekkers (1938 - 1974) was a Dutch artist mostly known for his reliefs involving simple geometrical forms. The exhibition is organized by Heemschut Heritage Association. Princess Beatrix is the patron of the heritage association. 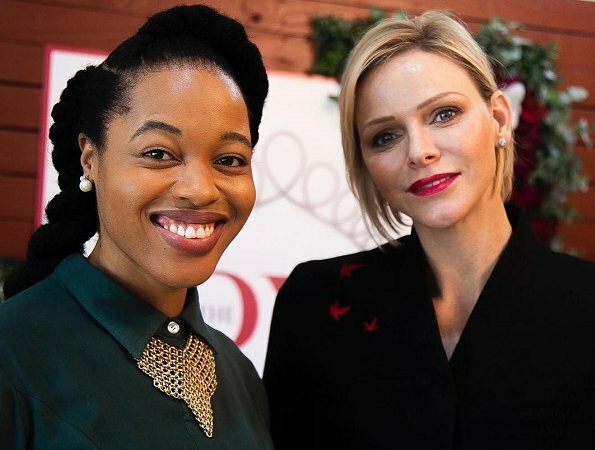 On April 13, Princess Charlene attended "HSH Princess Charlene of Monaco Royal Race Day" event held at Turffontein Racecourse in Johannesburg, South Africa. 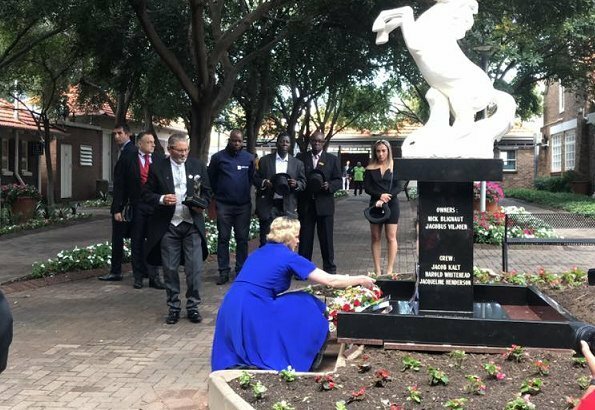 Before the event, Princess Charlene put flowers in front of Hennenman Air Crash Memorial to memorialize the jockeys who lost their lives in a tragical air crash on April 12, 1988. 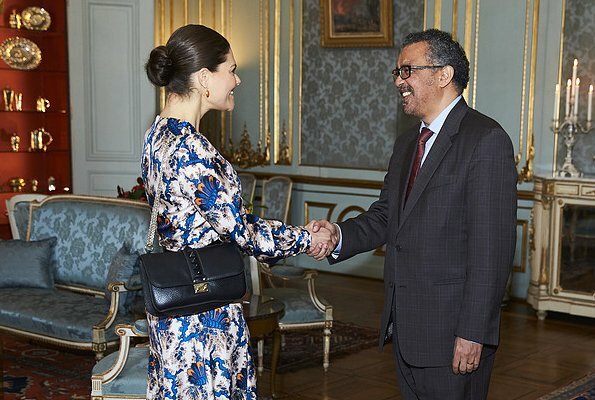 On April 11, Queen Silvia bought the year's first Mayflower pin, as is traditional. 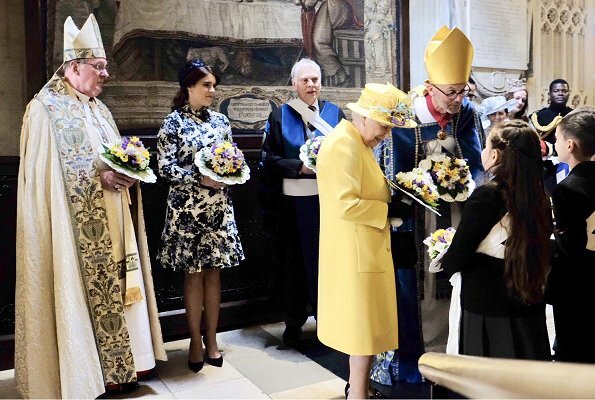 This year, Solveig Udeman Larsson and Henrik Daresiewicz from Ulriksdals School in Solna had the honour of selling the first Mayflower pin to The Queen. 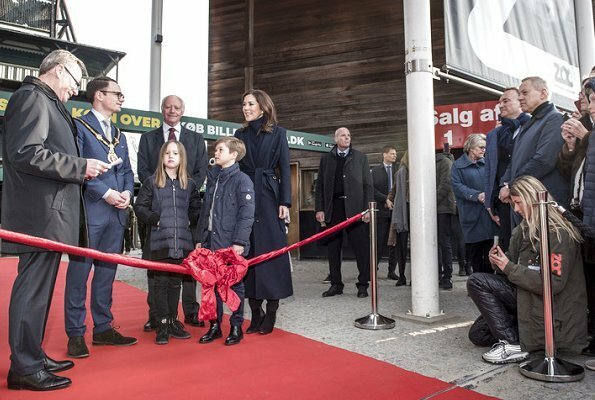 The Mayflower Charity Foundation for Children is Sweden's biggest children's charity. 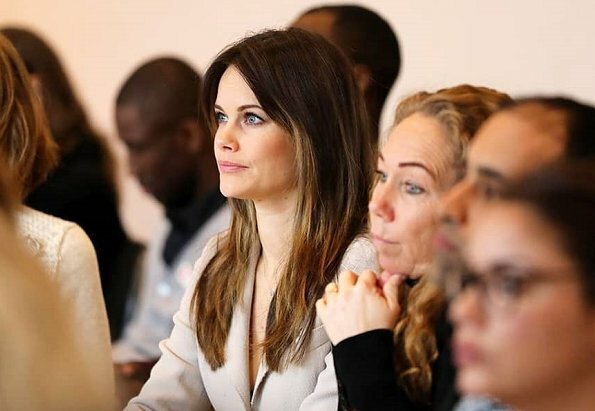 The organisation works to improve living conditions of children, and to tackle child poverty in Sweden. 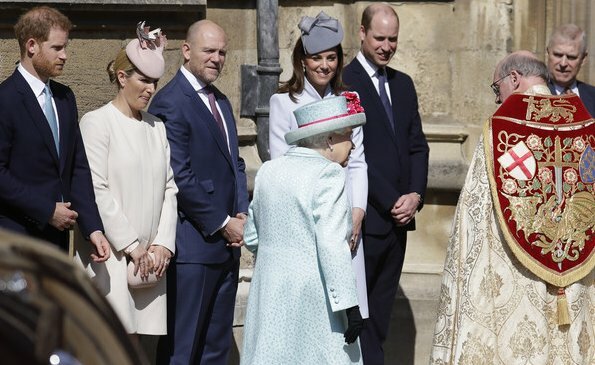 The Queen is the charity's highest patron, and buys the first Mayflower pin every year. 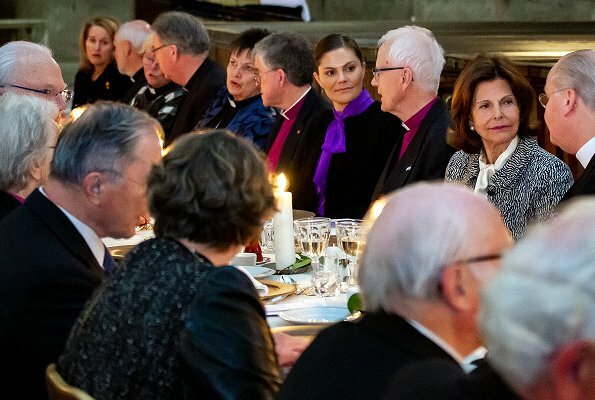 On April 11, 2019, Spanish Queen Letizia visited 'Agneli' exhibition organized by 'Las Edades del Hombre' Foundation at Iglesia De San Pedro Church in Lerma village of Burgos. Since 1988, "Las Edades del Hombre" Foundation has organized several exhibitions around the world. 'Agneli' exhibition will be open to the public in Burgos town of Lerma from April to November and is dedicated to the figure of angels and their transcendence in the Christian tradition. On April 9, Princess Charlene visited South Africa in order to raise funds by means of a royal horseracing event. 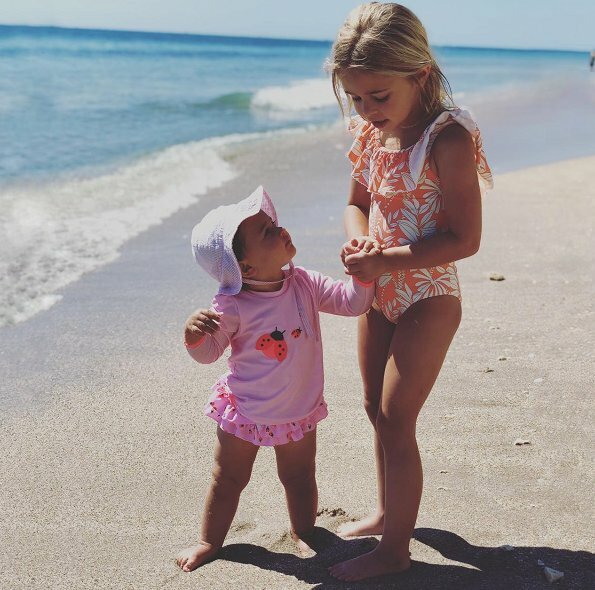 (Thando Aaliyah Kubheka, a magazine reporter, shared two photos on her Instagram account, showing herself and The Princess together.) The event named The Royal Race Day aimed to ensure Gugulesizwe and Lesabe primary schools in Benoni, which were patronized by The Princess a few years ago, each receive a certain amount of money as an aid. 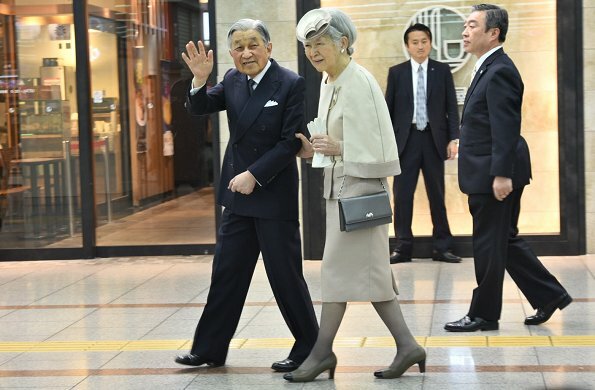 On April 10, 2019, Japanese Emperor Akihito and Empress Michiko celebrated their 60th wedding anniversary with a special party held at the Imperial Palace. The wedding ceremony of then Crown Prince and commoner Michiko Shoda took place on April 10, 1959. 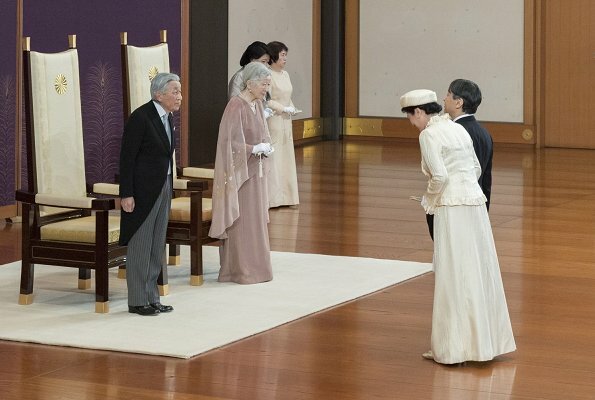 Crown Prince Naruhito, Crown Princess Masako, Princess Aiko, Prince Akishino, Princess Kiko, Princess Mako, Princess Kako and and other royal family members attended a party celebrating the 60th wedding anniversary.